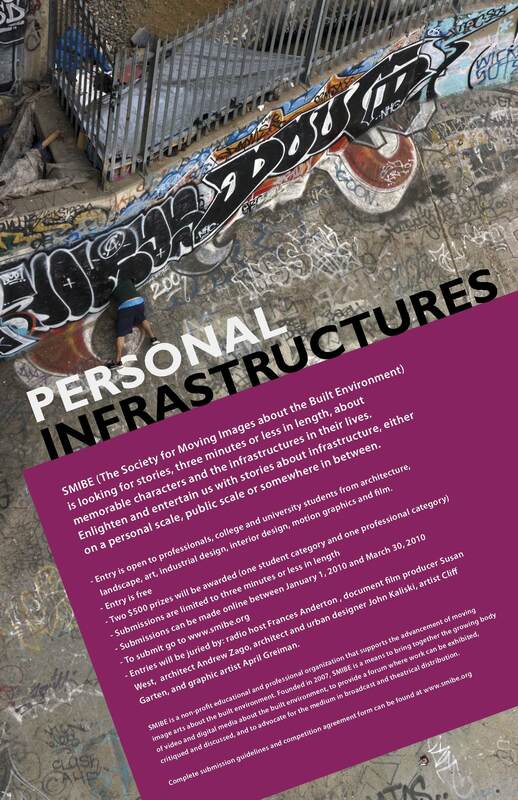 SMIBE (Society for Moving Images about the Built Environment) is a volunteer-run educational organization that supports the advancement of moving image arts about the built environment. Through its annual online short film competition, SMIBE encourages a higher level of critique and discussion about current issues in the built world. The competition challenge for 2010 was to produce an engaging and entertaining moving image story (no longer than 3 minutes in length) that illustrated the theme of "personal infrastructures." 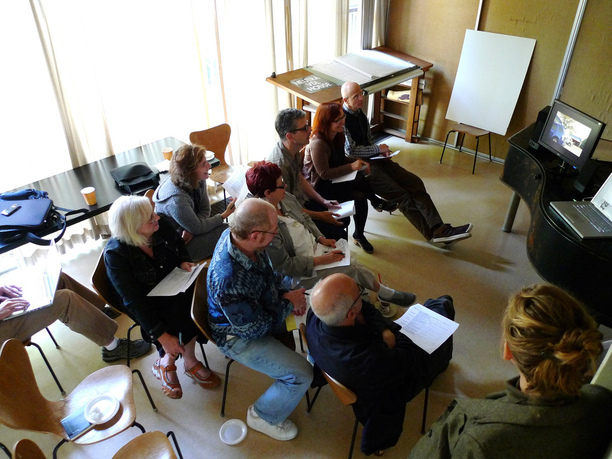 The final jury was composed of well-known architects, writers, artists, and filmmakers from Los Angeles. The jury selected films that revealed new sides or issues about a place told by memorable characters. Above all, they choose groundbreaking work that blended rigorous craft with intelligent storytelling. All entries were posted on the SMIBE web site with space provided for comment and discussion. Bill Ferehawk, SMIBE Founding Board Member, is a documentary filmmaker who uses the built environment as a lens to examine issues of American life. He is a principal at Radiant Features in Los Angeles. His documentary films about the built world include Eero Saarinen: Shaping the Future; Vladamir Ossipoff: True to Form; Lustron: The House America's Been Waiting For; and Aloha Buddha: The Story of Japanese Buddhism in Hawai'i. He holds degrees from the Yale School of Architecture (MArch) and the University of California, Berkeley (BA). SMIBE is a volunteer-run educational and professional organization that supports the advancement of moving image arts about the built environment. Who is SMIBE for? SMIBE welcomes anyone creating stories in moving images about the built environment. Who is SMIBE and what does SMIBE do? SMIBE was founded in 2007 by Bill Ferehawk and Sarah Lorenzen as a means to bring together the growing body of video and digital media about the built environment; to provide a forum where work can be exhibited, critiqued, and discussed; and to advocate for the medium in broadcast and theatrical distribution.